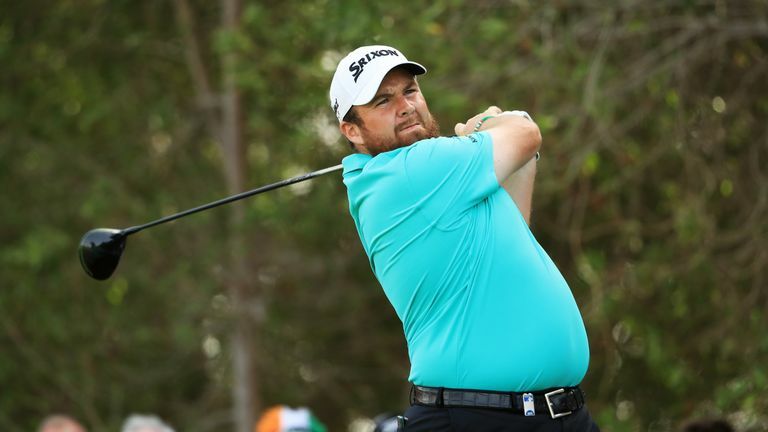 Highlights from the third round of the Abu Dhabi HSBC Championship, where Shane Lowry continued to impress. Shane Lowry is closing in on a fourth European Tour title after taking a three-shot lead into the final round of the Abu Dhabi HSBC Champions. Lowry fired a five-under 67 at Abu Dhabi GC to get to 17 under and remain on course for his first win since the 2015 WGC Bridgestone Invitational. Richard Sterne is Lowry's closest challenger after posting a third-round 69, with Ian Poulter five strokes off the pace in third following a final-hole eagle. "I played good and I felt very comfortable out there," Lowry told Sky Sports. "I'm very happy with that and very excited about tomorrow, being in a great position." Lowry holed an eight-foot birdie at the second but failed to get up-and-down from the bunker at the par-three fourth, seeing him briefly lose his outright advantage. The Irishman converted from close range at the sixth and holed a 20-footer at the next, before adding a third straight birdie at the eighth and converted from six feet to save par at the ninth and reach the turn with a four-shot cushion. Sterne halved the gap by pitching in for eagle from the 10th fairway, only for Lowry to birdie the par-three 12th for the third consecutive day and match the South African's gain at the par-five 15th. Lowry missed from six feet to bogey the 16th but splashed out of the bunker to save par distance at the next, before finding the final green in two and two-putting from 20 feet for a closing birdie. Pablo Larrazabal sits in fourth ahead of Scott Jamieson, Soren Kjeldsen, Thomas Pieters and Max Kieffer - who matched Lowry's joint-low round-of-the-day 67 - while Brooks Koepka moved inside the top 10 following a two-under 70. Dustin Johnson finished with back-to-back birdies to post a level-par 72, with two-time defending champion Tommy Fleetwood a further stroke back after matching Johnson's total. Who will win the Abu Dhabi HSBC Championship? Watch the final round on Saturday from 7am on Sky Sports Golf.